LEONARD PRENTICE EAGER, JR., Evansville banker, died 29 October 2017, Evansville, Wisconsin. Prent was the second of four children born to Leonard Prentice and Eloise Susan (Seavert) Eager. 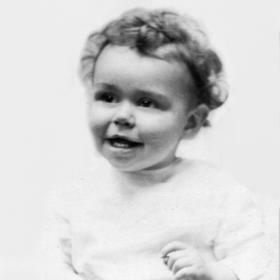 Leonard was born 20 April 1921 at Oak Park, Illinois, the home of his maternal grandparents. He attended Evansville High School (class of 1939). He then attended Washington & Lee University in Lexington, Virginia for his freshman year, after which he transferred to the University of Wisconsin-Madison. Prent was a member of the Sigma Chi Fraternity at Wisconsin and was a manager of the boxing team. 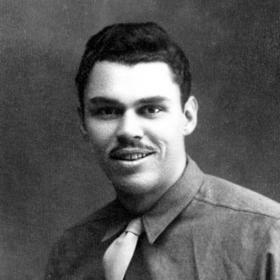 His education was interrupted by military service during World War II, where he served 28 months in North Africa and Italy delivering paychecks to the troops. 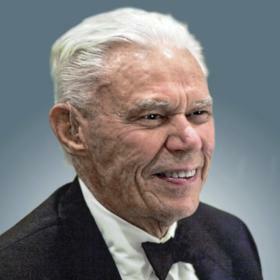 Prent graduated from the University of Wisconsin (class of 1943), where he received a Bachelor of Arts degree from the School of Economics with a major in Banking & Finance. Prent fulfilled his father’s expectation that he work elsewhere before he returned to the family bank in Evansville. He worked as a salesman for the Otis & Company Brokerage firm in Chicago, Illinois and as an examiner for the Board of Governors of the Federal Reserve System. Prent enjoyed those years as a single man, touring the country, examining the twelve district banks and playing poker. He returned to Evansville and started employment at Union Bank & Trust Company in 1948. Prent worked at UB&T from 1948 to the present. He served as Vice President during his father’s presidency and President from 1988-1997. He served on the Board of Directors from 1958 to present. Prent married Sally M. Hardy at Waukesha on 5 November 1949. They began a partnership of civic work in the community and raised three children: Jennifer, Leonard Prentice III and David. Both were committed to the community where they resided and donated their time and energy to make Evansville a better place to live. 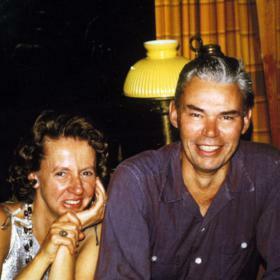 After a 40-year marriage and Sally’s death in 1989, he was fortunate to meet DeEtte Knowlton-Beilfuss. The couple married at Madison on 22 December 1990. 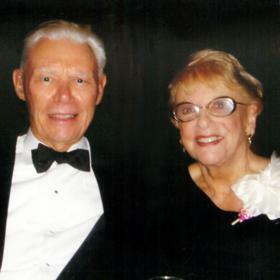 Together, they enjoyed traveling, the Madison Symphony, and their home and gardens on Lake Leota. Prent will be remembered for his smiling face, cheerful personality, and inquisitive mind. He was an avid reader and had many interests, which gave him pleasure and exposed him to new ideas and people. He was elected treasurer to Wisconsin Public Television on the campaign slogan that his favorite movie African Queen would be shown weekly. He was recognized by the Wisconsin Bankers Association for 65 years as a community banker. He was a faithful attendee of the Evansville United Methodist Church, member of the Evansville Lions Club and the Madison Club. He enjoyed the outdoors with his hunting dogs, gardening, bee-keeping and playing golf. He exercised regularly up until the last months of his life. He loved the Chicago Cubs and was fortunate to live long enough to see them win a World Series. He was predeceased by his wives Sally and DeEtte, parents, sister Eloise “Susan” Eager, brothers Richard B. Eager and Almeron “Alan” S. Eager, stepdaughter Karen “Lovey” Johnson, all of Evansville, and brother-in-law Leslie Barker “Buzz” Hardy of Milwaukee. He is survived by his three children: Jennifer Eager Ehle of Madison, Leonard “Prentice” (Eloise) Eager III of Atlanta, and David E. (Judy) Eager of Mequon, three grandchildren Eloise Oliver (Michael) Foltz and William Prentice (Liz) Eager of Atlanta, and Jonathan Prentice Ehle of Madison, three great-grandchildren Charles Prentice Eager, Oliver Read Foltz, and Eloise Ellis Foltz all of Atlanta, stepson Mark (Peg) Beilfuss of New London, WI, and sisters-in-law, Diana Willemsen Eager of Evansville, and Joan James Hardy of Milwaukee. The family wishes to thank his loyal, dedicated private-duty caregivers, St. Mary’s Hospital, Evansville Manor, and Agrace Hospice. The funeral will be held on Thursday, November 2, 2017, 11:00 A.M. at the Evansville United Methodist Church, 21 South Madison St. Visitation at the church Thursday from 9:30 A.M. until time of service at 11:00 A.M. Interment will be held at Maple Hill Cemetery. In lieu of flowers, memorials may be sent to the Eager Free Public Library, Evansville United Methodist Church, or Evansville Grove Society.